Tonight we participated in the La Cuisine de La Louisiane at the Mari Showroom in the Paragon Casino Resort in Marksville, LA. We served a fresh berry salad with Fontina and Gorgonzola Cheese and our signature "Almond Bread Pudding". 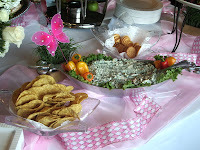 Everyone complimented on the food and really had a great time, and all for a good cause. The evening featured music by "The Dots" and a silent auction as well. It was a nice evening and we met alot of new people and visited with restaurant owners from all over Louisiana. 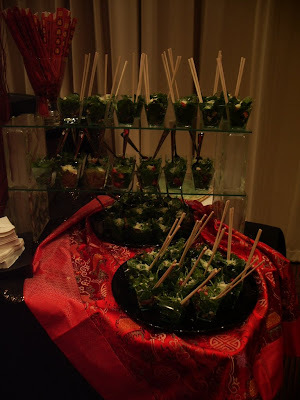 Best Catered Events, always out in the community and always willing to help out with a worthwhile cause! Best Catered Events members Rick and Dianne Evans, Wendy and David Chapman and Kasey Quibodeaux all attended the 2009 LRA Show in New Orleans at the Morial Center on Sunday, July 19, 2009. Children are not allowed on the tradeshow floor, so we took turns with Bailee, Dylan and Evans. Ty opted to not attend and spent the day with his other grandmother. 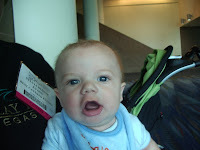 I certainly had a wonderful time spending time with my grandchildren and took a few pictures of Evans Kade....he is growing so fast! 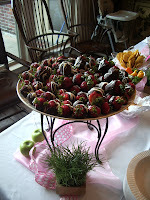 Best Catered Events has been providing wonderful food for baby and bridal showers in and around the area. 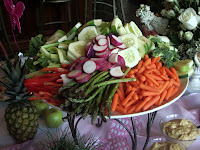 We decorate the food table and provide as much or as little service as the client needs or wants. 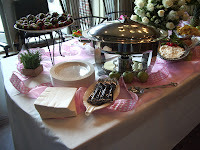 Call us to set an appointment when you are ready to plan the next shower or party! Bailee 's Wall of Salad! 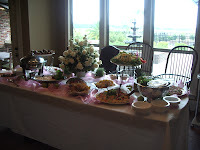 Best Catered Events catered an event in Fifth Ward for 150 guests. Bailee was here for the week and she was my assistant. 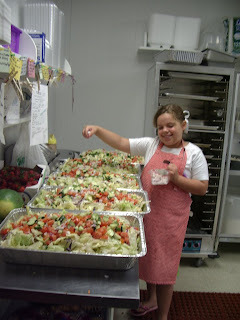 Bailee really caught on fast in the kitchen, and she tackled the fresh garden salad with a smile! What fun to be 9 years old and spending the week with momo and papaw! 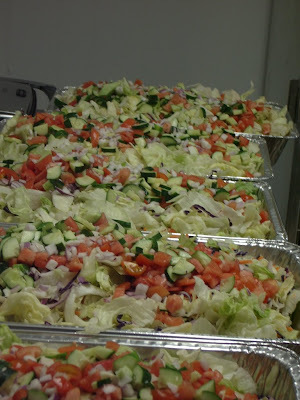 Whew...we have been so busy with pharmaceutical lunches in Alexandria, Marksville, Simmesport and the surrounding areas. Seems everyone wants a hot lunch. 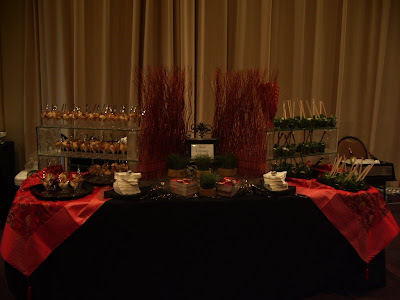 This week we served a group at Paragon Casino in Marksville for a staff meeting. We also served several doctors ofices in Alexandria and Pineville as well as in Marksville. Tomorrow we will do 2 more and next week we are almost booked solid! Thanks to all pharmaceutical reps for their orders....we are getting great feedback from the clients that they are enjoying their lunch. 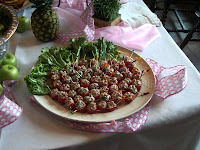 Best Catered Events, your one call caterer for pharmaceutical lunches!